Looking to move to Hawaii or Maui? Want to get your favorite Cat or Dog to be able to move too? 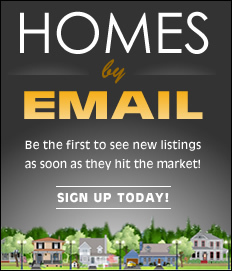 Real Estate agent Howard Dinits specializes in helping the entire family to move to Hawaii. Call me at 808-874-0600 so I can Help you and your pet move to Hawaii. For pets residing in Hawaii, please use: “Checklist Only for Dogs and Cats Located in Hawaii That Are Departing and Returning for the 5-day-or-less Program” instead. All steps need to be completed to qualify for this program. If you are unable to meet the following requirements, your pet will undergo quarantine for up to 120 days. The pet must have been vaccinated at least two times for rabies in its lifetime. These rabies vaccines were administered more than 30 days apart. Not more than the vaccine’s licensed booster interval listed on the manufacturer’s label; and Not less than 90 days before the pet’s date of arrival in Hawaii. NOTE! Two rabies vaccinations are required. The pet’s most recent rabies vaccination must not be expired when your pet arrives in Hawaii. Following the most recent rabies vaccination, animals must wait at least 90 days before arriving in Hawaii. If arrival occurs before 90 days has elapsed from the most recent rabies vaccination, the animal is subject to quarantine until 90 days are completed. The date and type of vaccine must be indicated on the pet’s vaccination and health certificates. The dog or cat has an electronic microchip implanted (Required before an OIE-FAVN rabies blood test is performed). The microchip has recently been scanned by a veterinarian to verify that it is working and that the microchip number is correct. NOTE! Make sure the microchip is working! If any pet cannot be identified by scanning the microchip, it will not qualify for either direct airport release or the 5-day-or-less quarantine and will be assigned to 120 days quarantine. The day after KSU or DOD received your pet’s blood sample must not be more than 36 months and not less than 120 days before the date of arrival in Hawaii. Note! Be aware that use of an intermediate lab (Antech, Idexx, etc.) may delay the date KSU and DOD receives your pet’s sample. The result of the pet’s blood test was greater than or equal to 0.5 IU/ml. Retain a copy of this successful blood test result showing the pet’s microchip number from the veterinarian for your records. Do not contact the laboratory directly. Make sure your veterinarian lists: “HAWAII” as the destination on the blood test submission form. KSU and DOD will then automatically send your pet’s results to Hawaii. Following a successful OIE-FAVN test result, animals must wait at least 120 days before arriving in Hawaii. If arrival occurs before 120 days has elapsed, the animal is subject to quarantine until 120 days are completed. Your pet must complete the 120-day waiting period before arriving in Hawaii or your pet will not qualify for either direct airport release or the 5-day-or-less quarantine program. The vaccination certificates must have the vaccine name, lot or serial number, booster interval, vaccination date and vaccine lot expiration date listed. A veterinarian must treat the pet for ticks with a product containing Fipronil or an equivalent long-acting product labeled to kill ticks (Revolution® is not acceptable) within 14 days of arrival and the product name and date of treatment must be recorded on the pet’s health certificate. If you are applying for re-entry under the same OIE-FAVN blood test and rabies vaccinations that have not expired yet, you must have a copy of the Airport Release card given to you when your pet was released at the airport on a previous arrival in Hawaii. Send documents and payment to: Animal Quarantine Station, 99-951 Halawa Valley Street, Aiea, Hawaii 96701. Note! Do not send each document in separately. Send all documents (Dog & Cat Import Form, two rabies vaccination certificates, payment) in as a set more than 10 days before arrival. Faxes and photocopies are notaccepted! IMPORTANT! : The waiting period begins the day after KSU or DOD received the blood sample for the OIE-FAVN test. The test must also have a result > 0.5 IU/ml. All pets arriving before the eligible date of entry will be quarantined and assessed $14.30 each day in addition to applicable program fees. There are no exceptions. If you do not send the original health certificate to the Rabies Quarantine Branch in advance of your pet’s arrival when you submit your other documents, you must provide the health certificate upon arrival at the Airport Animal Quarantine Holding Facility. Failure to bring the original health certificate (photocopy not acceptable), will prevent your pet from being released. original rabies vaccination certificates with actual veterinarian signature in ink. Payment of fees ($165 per pet in advance for direct airport release or $224 for 5-day-or-less program) by cashier’s check or money order (no personal checks are accepted). Included your pet’s microchip number with the payment to ensure proper credit. Payable to: Department of Agriculture. airport on a previous arrival in Hawaii (if you are applying as a re-entry under the same OIE-FAVN blood test and rabies vaccinations.) Be sure the test and rabies vaccination are still valid and not expired! Send your documents by mail with return receipt to verify delivery, or by an overnight carrier that provides tracking of your documents. Payment may be made at the airport however, processing will be delayed. Payment by cashier’s check or money order is recommended. VISA, MasterCard will also be accepted upon arrival, but will delay processing time. Payment must be made in full before your pet will be released. Payment in excess of fees will receive refunds through the mail in 6 to 8 weeks after a request for refund is made. records, and blood test result) for your files and to accompany your pet as a backup. Understand that Direct Airport Release is only done at the Honolulu International Airport. You must arrange for your pet to arrive at the Airport Animal Quarantine Holding Facility at the Honolulu International Airport during normal inspection hours between 8:00 AM to 5:00 PM. It may take up to one hour for the airlines to transport a pet to the Airport Animal Quarantine Holding Facility [Phone: (808) 837-8092] and animals not arriving at the facility during normal inspection hours will not be released at the airport. Warning! : Inspection hours are subject to change at any time without notice. Animals on international flights will need to clear U.S. Customs before they may be released from the Airport Animal Quarantine Holding Facility. Please check with your airlines regarding U.S. Customs hours of operation to assure they will be open to process your pet for release. 5-day-or-less program are $224 per pet. Your pet will not qualify for direct airport release if ticks or other parasites are found at the time of arrival. Warning! Hours of operation listed in this publication are subject to change and revision without prior notice. or owners listed on a notarized Dog and Cat Import Form (AQS 278.) If you are not traveling with your pet, you must make arrangements with the airlines to consign your pet to the individual who will pick up your pet. It is your responsibility to arrange all transportation for your pet once it is released from the Airport Animal Quarantine Holding Facility in Honolulu. There are no carts or porters at the Airport Animal Quarantine Holding Facility. Due to Federal security regulations at the Honolulu International Airport, all pets that qualify for direct airport release must be secured in their flight carriers when picked up from the Airport Animal Quarantine Holding Facility until the animal is out of the Airport. Do not remove your pet from its transport carrier on airport property! You must notify the Animal Quarantine Station prior to arrival, follow the same procedures, and meet all the requirements each time your pet enters or returns to Hawaii. You will pay a fee of $165 per pet for direct airport release or $224 per pet for the 5-day-or-less program each time your pet enters or returns to Hawaii unless it qualifies for subsequent entry fees outlined in: “Re-Entry Fee Requirements”. Animal Quarantine Station beyond its scheduled release date. Hi Howard, First, thank you for providing such a great website, so informative, I have passed it on to many friends. I just wanted to give, you and your readers, an update in my direct release services. We are quite busy with numerous direct releases at the Kahului airport, I have added some features to help “pets” and “pet parents” in their move to Maui. 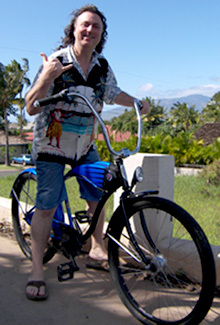 I now have a designated phone line (808) 446-1521, just for direct release questions. I am available 7-days a week from 8:00am to 10:00pm to answer questions, relieve (pet travel) stress or just to hold your hand through the process. I remember the stress of moving here with my pet, this was 15+ years ago and mandatory quarantine was in place, so this is such a great program. Looking to move to Hawaii or Maui? Want to get your favorite Cat or Dog to be able to move too? 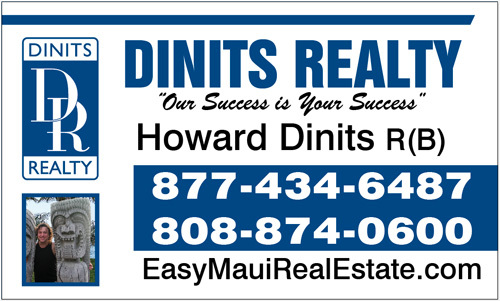 Real Estate agent Howard Dinits specializes in helping the entire family to move to Hawaii. Call me at 808-874-0600 so I can Help you and your pet move to Hawaii.